the seat of kings. 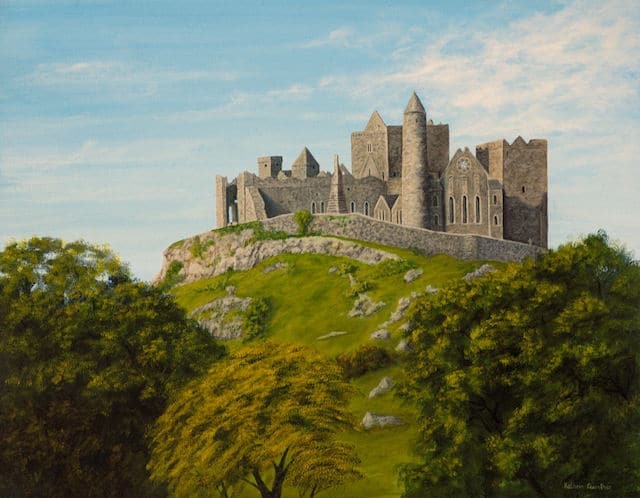 Well, to be honest, it is also known as the Cashel of Kings. But I like my version better lol. It is one of Ireland’s famous visitor attractions and with good right too. This was a commission painting for a man who grew up in that area and used to see it every day from his home. It is actually not that far away from where I live. I have been there multiple times and I must say, it is a beautiful spot.